Transport plane, multi-tasking and highly specialized. 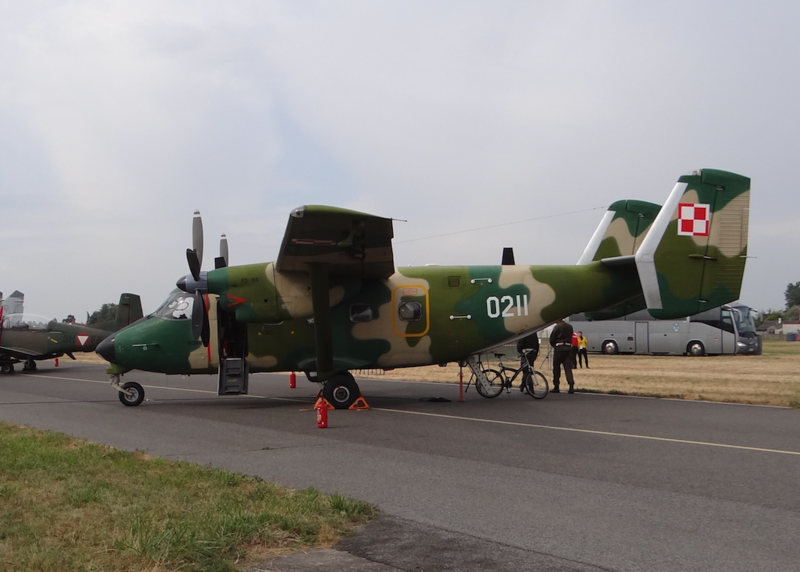 The Polish Army have bought PZL Mielec An-28 planes from 1986. Later development versions of PZL Mielec M-28 were purchased. In factory PZL Mielec a project was created to adapt the M-28 machine to the needs of the Polish Army. The project received the codename Bryza and assumed the creation of two versions: cargo and parachute landing PZL An-28 TD Bryza-TD and patrol An-28 B1R Bryza-1R. Later other versions were created for the Polish Army. Until 2007, 28 machines were purchased by the Polish Army. In December 2008, another 8 M-28 B / PT Bryza machines were ordered. Airplanes are used in 13. ELTr (Balice), 14. ELTr (Powidz), 1. Transport Aviation Base (Okęcie), Navy (Siemirowice, Babie Doły), School “Szkoła Orląt” in Dęblin and Radom and in the Border Guard. Airplanes come in different versions and variations. Starting from ordinary transporters, and on highly specialized machines ending. After the break-up of CCCP and the total collapse of the local market, the WSK PZL Mielec began looking for new outlets. To succeed, it was necessary to equip the aircraft with another avionics and other engines. It was necessary to modify the airframe so that the subassemblies so far delivered from CCCP should be replaced with those produced in Poland. From 1984 to 2010, Polish constructors and engineers have introduced nearly 25,000 aircraft modifications. As a result, two development varieties of the An-28 aircraft were created. 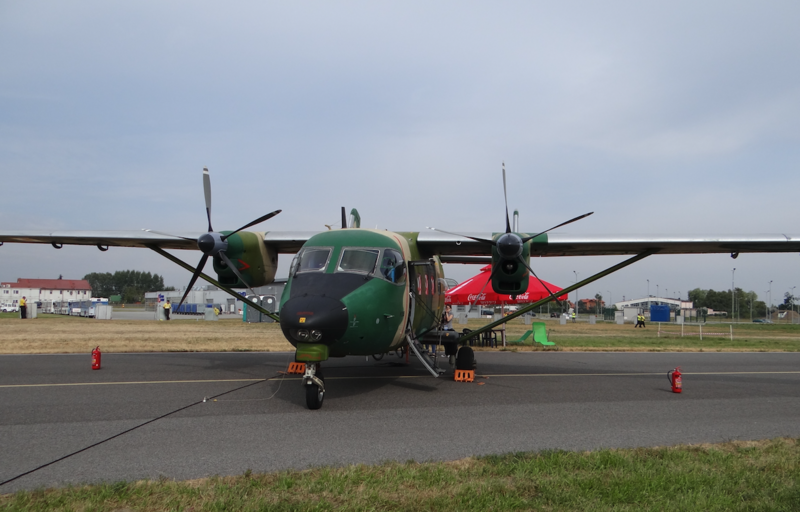 These are PZL M-28 Skytruck, a commercial plane for foreign markets and PZL M-28 B Bryza for the Polish Army. The M-28 Skytruck aircraft was initially built under the name An-28 PT Pyrite. 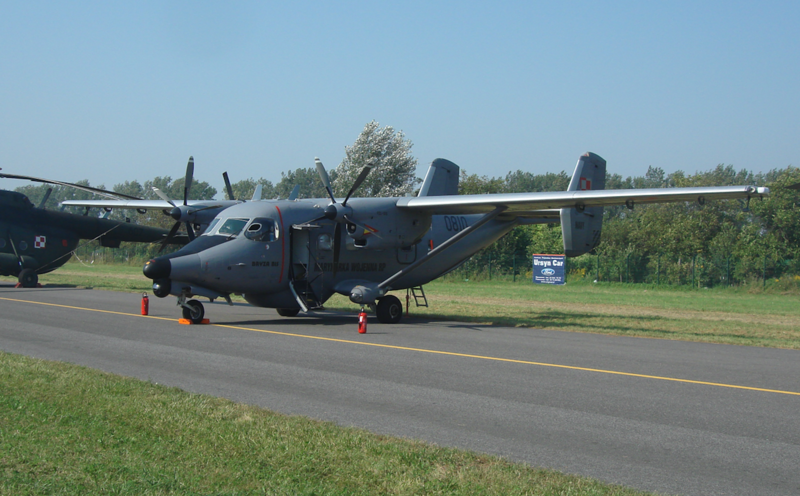 Because the name was bad, for marketing reasons, the name PZL M-28 Skytruck was finally adopted. The first flight of the modified aircraft, which was marked PZL M-28, was made on July 24, 1993. The basic change was the use of Pratt & Whitney Canada PT6A-65B turboprop engines. In 1994, the promotion of the PZL M-28 Skytruck airplane in America began. For this purpose, the machine flew over the Atlantic Ocean. PZL M-28 Skytruck was the second Polish plane, after RWD-5, which flew from Europe to America. The aircraft was also tested in high mountain conditions. The obtained results prompted the constructors to increase the maximum lifting capacity of the machine from 1 750 kg to 2 300 kg. The aircraft was certified according to FAR-23 requirements. In 2003, a contract was signed for the purchase of multi-role combat aircraft Lockheed Martin F-16 for the Polish Air Force. The contract was accompanied by an offset. One of its points was the sale of 100 PZL M-28 aircraft in the USA. During the arrangements, this number was systematically reduced to eventually end on 16 machines. M-28 Skytruck aircraft were delivered to US units in 2009-2013. Airplanes were adopted by the United States Air Force Special Operations Command (AFSOC Air Force Special Operations Command). PZL M-28 aircraft in the USA received the designation C-145 A. Aircraft C-145 A (PZL M-28) were used by US troops in Iraq and Afghanistan. They were used during special missions and for training paratroopers of local troops. In Afghanistan on December 18, 2011, while approaching the landing plane, on a very difficult landing field and in bad weather conditions, the aircraft co-committed, was damaged and recorded from the state. There were 7 people on board. Nothing happened to anyone. In 2015, the US military announced that it was withdrawing from service 10 C-145 A aircraft and transferring them to warehouses. The machines went to the Davis-Monthan landfill in Arizona in May and August 2015. Only five M-28 Skytruck machines remained in the USAF unit. Similar cuts took place in the US Army in relation to the Italian aircraft Alenia C-27J Spartan. These cuts were not associated with aircraft defects, but due to the withdrawal of US troops from Iraq and Afghanistan. Probably the USAF will withdraw all C-145 A aircraft by 2020 from use. In 2018, the US army handed over two C-145A planes from stock to the army of Estonia. Two C-145 A aircraft are also used by the Arizona police. In November 2017, two PZL M-28-05 planes were leased by German troops for parachute training. In the Germanic version, the aircraft is equipped with the PJRS (Parachute Jump Rescue System) rescue system. This mechanism provides assurance during jumps with forced opening of the parachute. In the case when the parachute does not automatically release, the jumper will hang on the rope behind the plane. The PJRS system then allows you to pull the jumper onto the plane. The use of this system perfectly complements the basic functionality of the M-28, which is the rear loading door. Zakłady PZL Mielec, the pearl of the Polish Aviation Industry, was put up for sale. The only company interested in purchasing the PZL Mielec plant was the American company Sikorsky Aircraft Corporation, which belongs to the United Technologies Corporation. Representatives of the Sikorsky company noticed that the fuselage of the M-28 aircraft corresponds to the size of the Black Hawk fuselage. On March 16, 2007, Sikorsky Aircraft Corporation bought 100% shares in PZL Mielec from the Polish Government with the intention to start production of helicopters. First of all, the fuselages of Black Hawk machines, and then whole helicopters. At the same time, Sikorsky undertook to maintain the production potential of M-28, M-26 and M-18 aircraft. The amount of PLN 66,000,000 was paid for the PZL Mielec plant, plus PLN 36,677,527.91 of PZL Mielec's debt to the Industrial Development Agency. Sikorsky also committed to making further investments of around US $ 45,000,000 in the next 4 years. Of this $ 26,000,000 in fixed assets. In fact, the Polish company PZL Mielec doesn’t even have a logo. In addition, legal issues related to M-28 aircraft were repaired. It is about Skytruck LLC, which, as part of the offset agreement on the purchase of F-16 Jastrząb, was to deal with the sale of PZL M-28 aircraft on the North American market. In fact, Skytruck LLC didn’t carry out the task and blocked the promotion of the M-28 in that area. In four years the factory in Mielec has changed very much. Only part of the halls was left, which were renovated and equipped with a new machine park. The area was fenced. Unnecessary assets were sold. The plant was focused on the production of Black Hawk helicopters, while maintaining the ability to build M-28, M-18 Dromader aircraft. The M-26 Iskierka plane disappeared from the offer. At that time, the plant didn’t interrupt the implementation of orders for PZL M-28 planes. 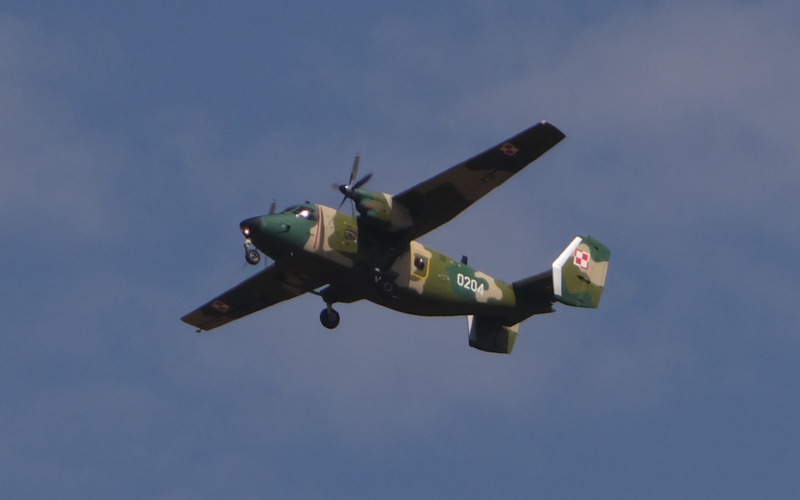 In December 2008, the Ministry of National Defense ordered 12 M-28 B / PT Bryza aircraft at PZL Mielec. The value of the contract amounted to PLN 635 million. The cockpit was made in the full Glass Cockpit version. The last aircraft was delivered in 2013. The decision to purchase further PZL M-28 exposes the Ministry of National Defense to a wave of criticism and charges. However, the military prosecutor's office refused to deal with the matter of the contract, finding no evidence of crime or acting to the detriment of the state's interest. Eventually, the number of ordered aircraft was reduced to 8 units for approximately PLN 500 million. S-70i Black Hawk - medium multirole transport helicopter (production of cabins and helicopters). The plant also produces cabin segments of the UH-60 M Black Hawk helicopter structure. The S-70i Black Hawk helicopter is a flagship product in Mielec. PZL M-18 Dromader - agricultural and firefighting plane. A single-engine plane used in agrotropic and firefighting or comprehensive forest protection. PZL M-28 Skytruck - a multi-task, twin-engine, turboprop aircraft, STOL class (short take-off and landing), designed to perform local passenger and cargo transport tasks, parachute jumpers, medical evacuations, patrol and reconnaissance, as well as search and rescue. PZL M-28 B Bryza - multirole aircraft, military version of the M-28 model, designed to perform special tasks (depending on the systems installed). M-28 is being built as a multi-purpose aircraft and a highly specialized machine. The M-28 airplane is a specific construction with unique features. STOL, or the possibility of a short takeoff and landing. The plane with a fixed, high-strength chassis is perfectly suited for airports and airfields with unpaved runways (RWY). The machine has a two-engine unit, which makes it safe. In addition, it has a maximum load capacity of up to 2 500 kg. The advantages of the machines are: STOL's properties, excellent volatile properties at low speeds, high lifting capacity, use from contingent areas, rear loading ramp, the ability to change the configuration of the hold, low cost of operation, excellent PT6 engines. The PZL M-28 aircraft has an EASA type certificate no. EASA.A.058, Yankeski (FAA) No. A56CE, Indonesian No. A054, Taiwanese (CAA), Nepali (CAAN), Brazilian (ANAC) and Indian. The charge against the aircraft is low charging and no pressure booth. This means that PZL M-28 is a niche aircraft. However, from time to time, customers need just such a machine. M-28 practically on the market of new aircraft has no competition. The most dangerous competitor of De Havilland Canada DHC-6 Twin Otter after the break from 1988, again from 2006 is in the production offer, this time the Viking company. Other constructions have evolved into larger machines. M-28 aircraft from Mielec are used at home and abroad. Many machines were delivered to CCCP (about 180 pieces), and after the collapse of the country, the An-28 planes found themselves in the colors of Ukrainian, Kyrgyz, Kazakh, Moldovan, Latvian, Tajik, Georgian, Armenian and, of course, Russia. M-28 aircraft were sold to such countries as: Venezuela (about 50 items), Hungary, Madagascar, Guinea, Tanzania, Nepal (about 22 items), Indonesia, Vietnam (about 10 items), Panama. In addition to the army, police, national guard, border guards, M-28 planes were also bought by companies and individuals. In 2017, the PZL M-28 aircraft made an advertising flight in South America and the Caribbean. The plane took off with a trade mission in February 2017. It lasted three months. The turn team consisted of five pilots, four mechanics and one flight coordinator. Aerial and ground-based demonstrations, with special focus on takeoffs from short and poorly equipped RWY, and the potential for quick reconfiguration. The shows began in mid-March in Trinidad and Tobago. Then the plane visited Brazil, Argentina, Ecuador, Colombia, Panama and Mexico. The plane in Rio de Janeiro took off from April 4-7 at LAAD Defense and Security Exhibition, which takes place every two years. The machine held demonstration flights in 12 places in the Caribbean and Latin America. The result was a collection of over 20 offers from potential buyers. As the president of the PZL Mielec company, Janusz Zakręcki, stressed, the majority of new purchase offers refer to the carriage of both passengers and goods to an unprepared landing field, including places located high above sea level. Over half of the M-28 inquiries come from private and regional carriers, including state services such as the police. The other cases are the army. 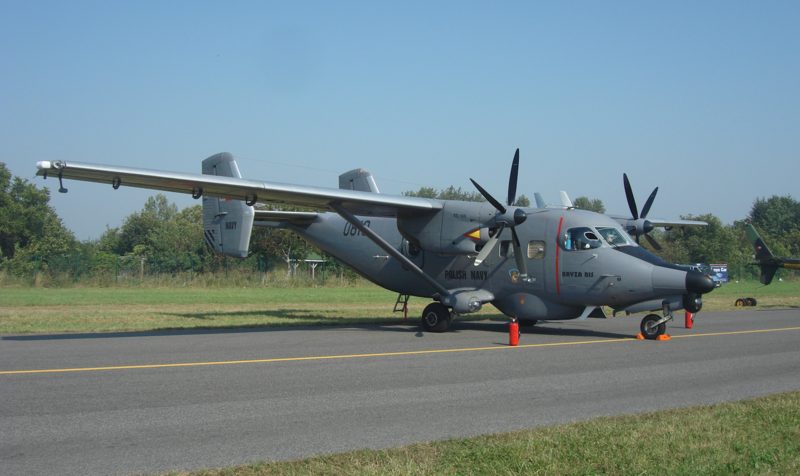 The PZL Mielec plant will soon build 300 An-28 / M-28 aircraft, including around 120 M-28. With the proviso that some copies were thoroughly rebuilt. About 1 700 people work in the company in Mielec. At the end of the 80's of the 20th century, the An-28 aircraft received the NATO Cash code designation - cash. Pretty nice name. The PZL An-28 Bryza 2RF Nb 1007 plane crash in Babie Doły occurred on March 31, 2009 at about 4:45 PM. Everyone on board died, four soldiers. The plane belonged to the Naval Aviation Brigade and carried out a training flight. The crew practiced the approach to emergency landing with one engine off. Navy staff officer Ireneusz Rajewski, born March 31, 1966 (43) - on-board technician, 1900 hours raid. By order of the President of the Republic of 10 April 2009, the crew members were posthumously awarded the Maritime Cross of Merit. The accident report gave the probable cause - a pilot error and, as a result, unsymmetrical dragging of the aircraft. The impact on the ground took place in the back position. The PZL An-28 Bryza Nb 1007 aircraft was built in 1992 and had approximately 1500 hours in the air. PZL An-28 Bryza Nb 1007 was called the "Parisian" by pilots of Milicz PZL, because it was a VIP version of Salon, which before transferring to the unit in 1997 took part in the Paris International Air Show. Previously, the machine served as an unfinished prototype of the PZL An-28 RF version for radio-electronic combat. 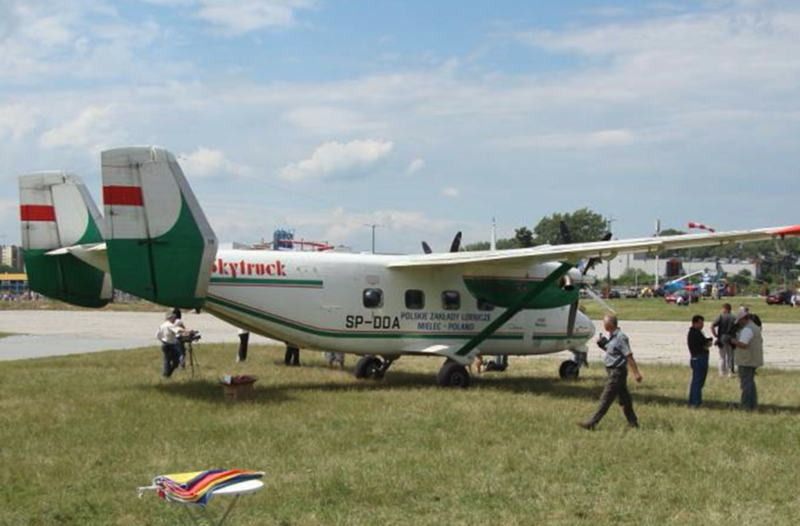 On July 12, 2001, the PZL M-28 Skytruck plane crashed. The disaster happened in the town of Puerto Cabello. Puerto Cabello is a town on the Caribbean Sea about 150 km from Caracas. All of those who were on the plane died, 13 people; 8 Venezuelans and 5 Poles. The cause was a probable pilot error. On December 18, 2011, the C-145 A aircraft performed a stage flight Kandahar in Afghanistan - Qalat - Walan Rabat - Qalat - Kandahar. The goal was to transport passengers. The start took place at 09:39 local time. The weather was not the best. There was a strong wind blowing 14 knots, and in gusts of 17 knots. Landing area in Walan. Rabat with a ground runway lies in the direction of 34 and has a drop of 3 degrees. RWY is only partially prepared. It has an AMP-3 type designation, commonly referred to as "box-and-one" with colored panels. The pilot checked the wind value chart and incorrectly calculated the component of the rear wind, mistakenly thinking that it was within the allowable limit for the M-28 landing. The pilot decided to land with the wind, but on the rising RWY. This is the recommended direction of landing. The pilot flew shallow to 2.5-3 degrees due to the ascending landing zone. At a distance of about 1000 feet from the landing zone, the pilot visually perceived the AMP-3 sign and landed on the plane at 10:32 UTC. After a harder than normal landing, the plane turned right and left the prepared surface. The front wheel encountered uneven terrain and broke off, causing the plane to co-fly. The crew and passengers then emerged through the window of the other pilot and emergency exit in the port side. Nothing happened to anyone. There were 7 people on board: three crew members and four passengers. The accident investigation committee found no unequivocal cause, and the very bad landing ground was considered the main reason. Aircraft C-145 A (PZL M-28-05) Serial number AJE 003-19. Registration 08-0319. The first flight of 2009. It made 1,273 flights for the accident in 1 164 hours.